Come home to beautiful pastures and open spaces. Enjoy this home for yourself or put it to work for you. The large, open, traditional cape offers spectacular views of the property. The two story vaulted ceilings show off the stone fireplace. The floor to ceiling windows let you bring the outdoors in. This property offers numerous stalls and outbuildings and all the makings you need to board horses or have your own country refuge. 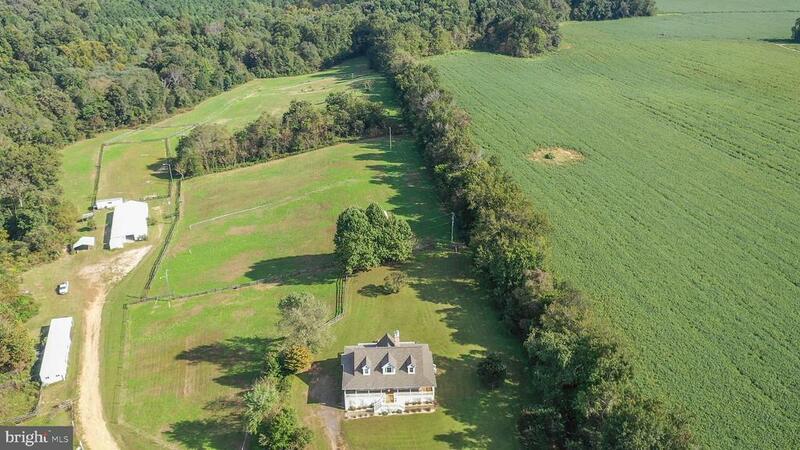 This home is also listed under farms. Directions: From Rt301/Rt3 in King George: Go S on 301 to a L onto 623 (Jersey Rd) to R on 650 (Welcome Rd) to L on 625 (Salem Chrch Rd) to R onto 698 (Nanzatico Road) to Entrance to Misty Brook Farm.